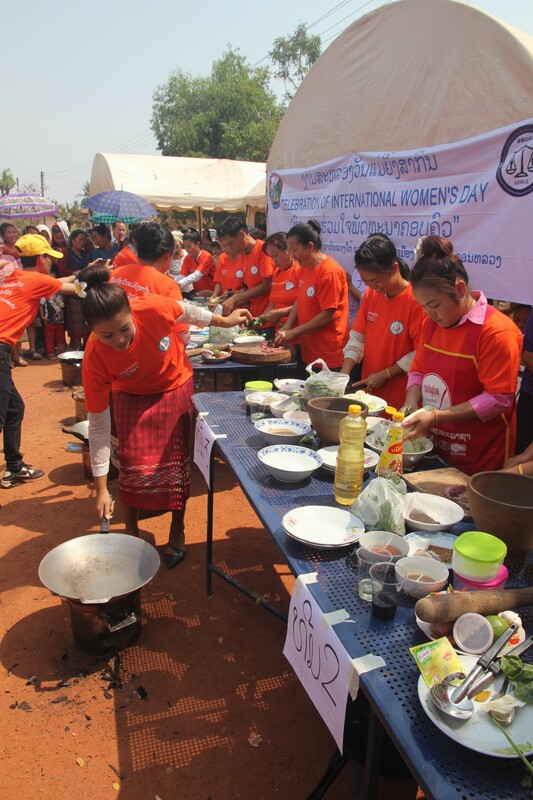 Laughter and applause echoed through the streets as 900 villagers from four villages in Xaythany District, Vientiane Capital, participated in International Women’s Day (IWD) celebrations organised by ADWLE. 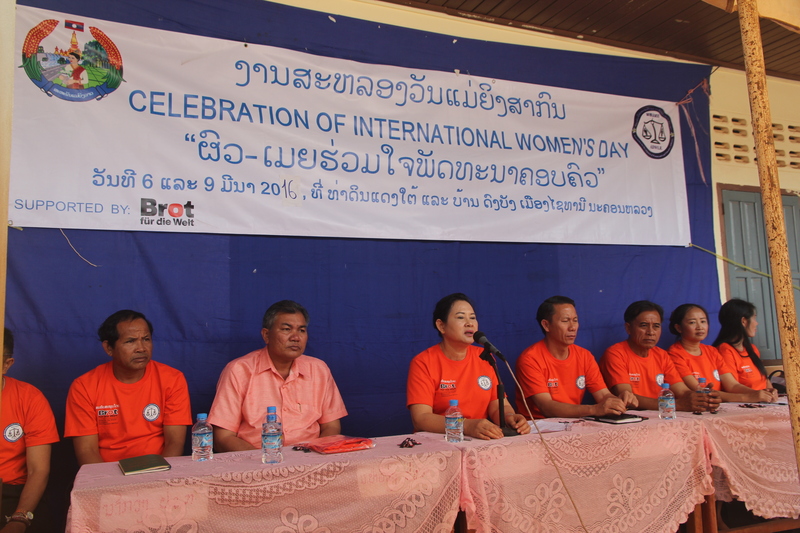 Speeches and introductions were given as village members introduced the background and significance of IWD and ADWLE Director Inthana Bouphasavanh spoke about ADWLE and future projects it would be carrying out in the villages. 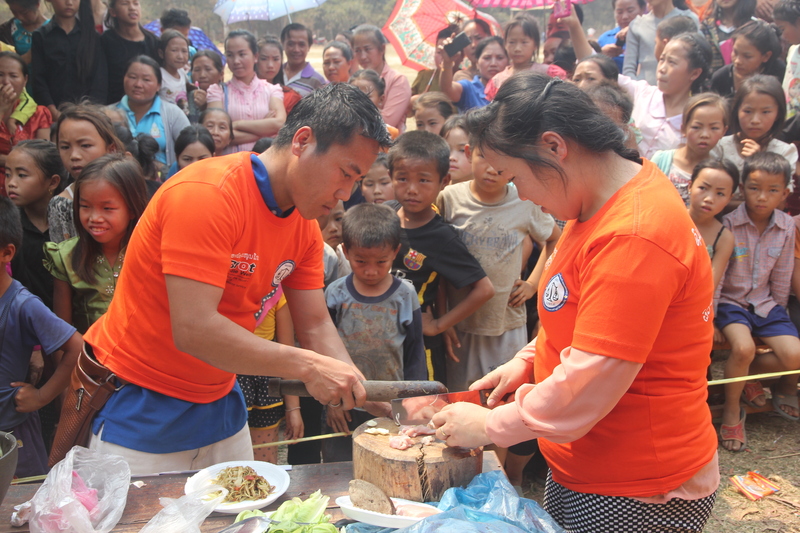 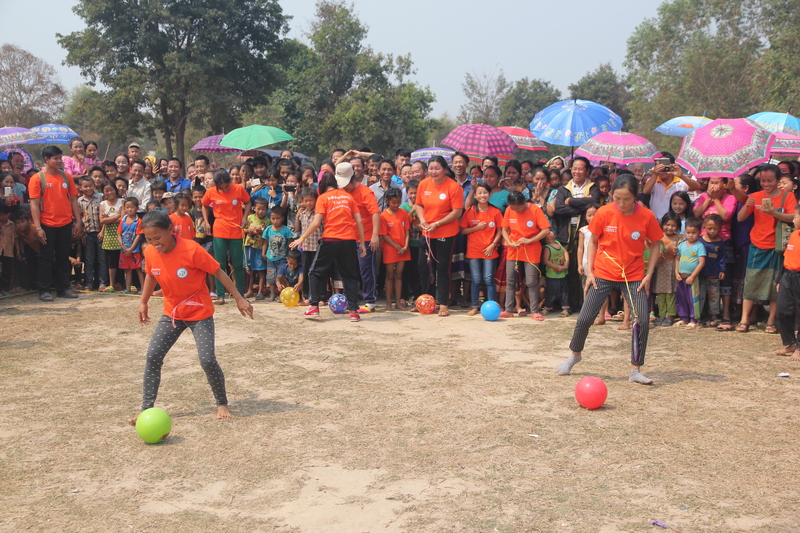 “The celebrations were a success as families from both Hmong and Lao ethnicities worked together and supported each other during the activities which is a step towards breaking down gender stereotyping and tackling discrimination,” said Law Manager and Program Coordinator Chao ThaoChongpao. 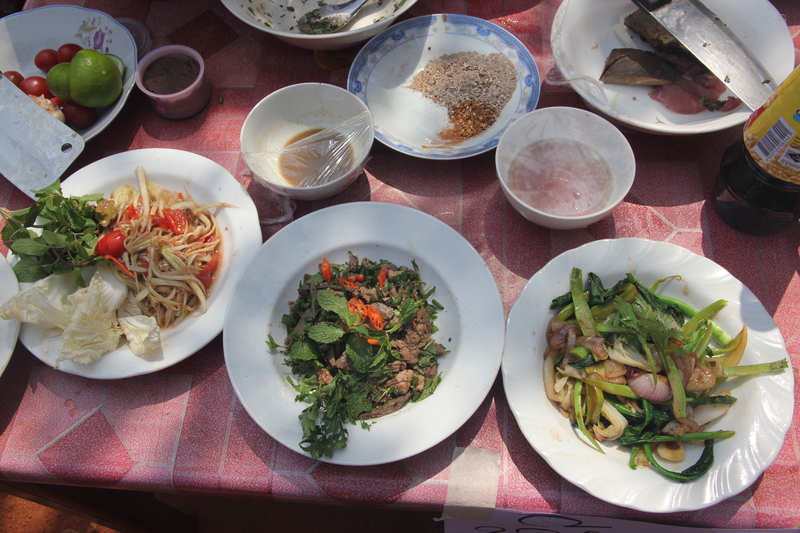 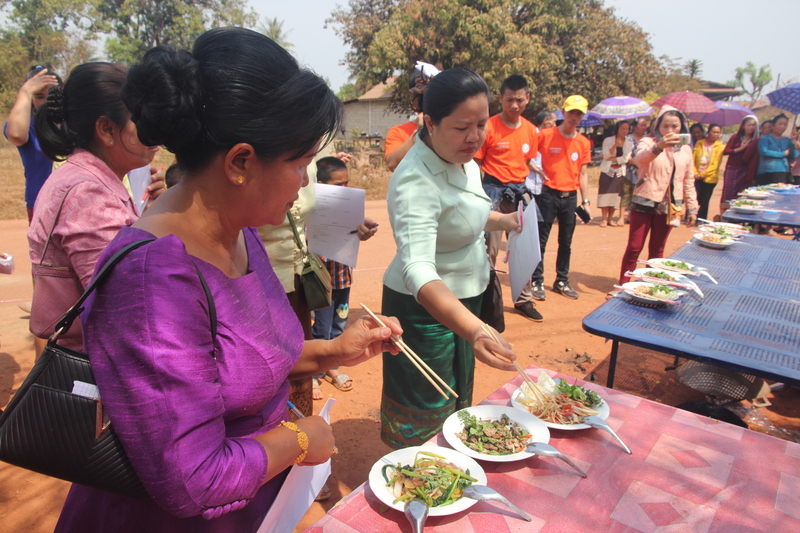 Three main activities were held; first, a cooking competition where six families had to prepare three meals in 30 minutes and a team of judges decided which family won. 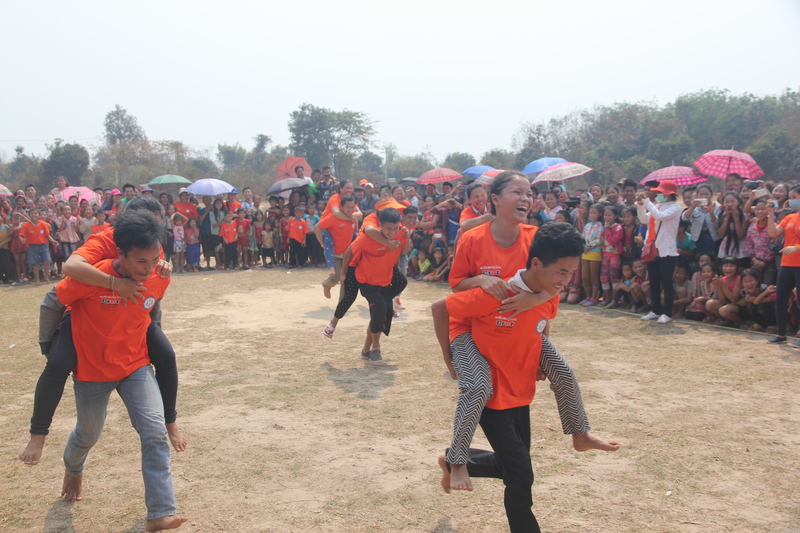 Second, families participated in a piggy back race where the winner was the family whose husband could carry his wife then his child across the line first. 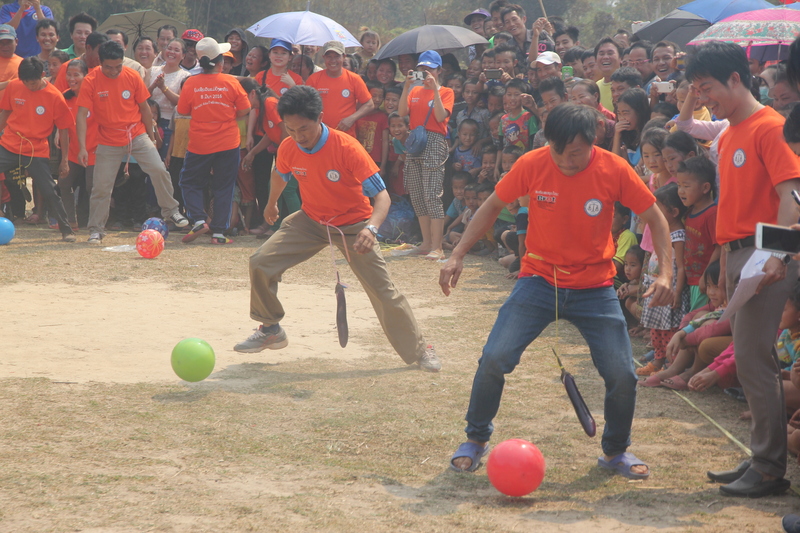 Finally, a competition of ‘Golf sao barn’ (Lao-style golf) took place which involved hitting a ball with an eggplant that was dangling from the waist. 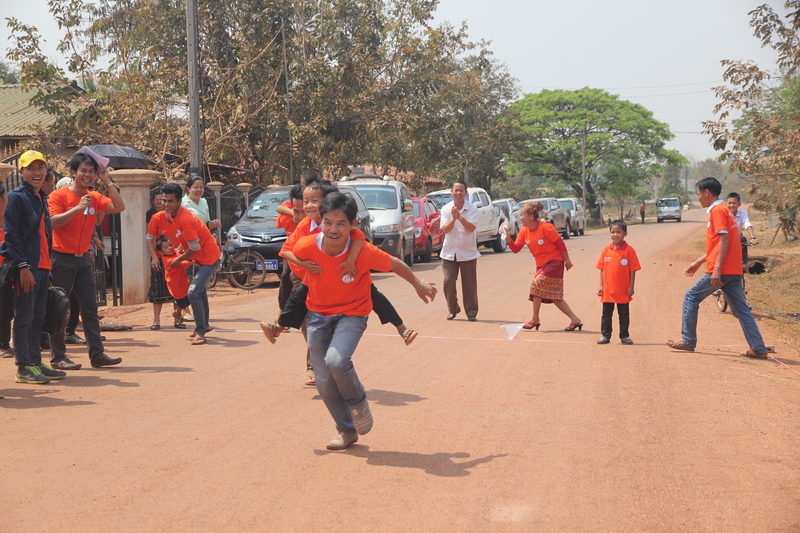 The children went first followed by the wife then the husband and the first family to complete the activity won. 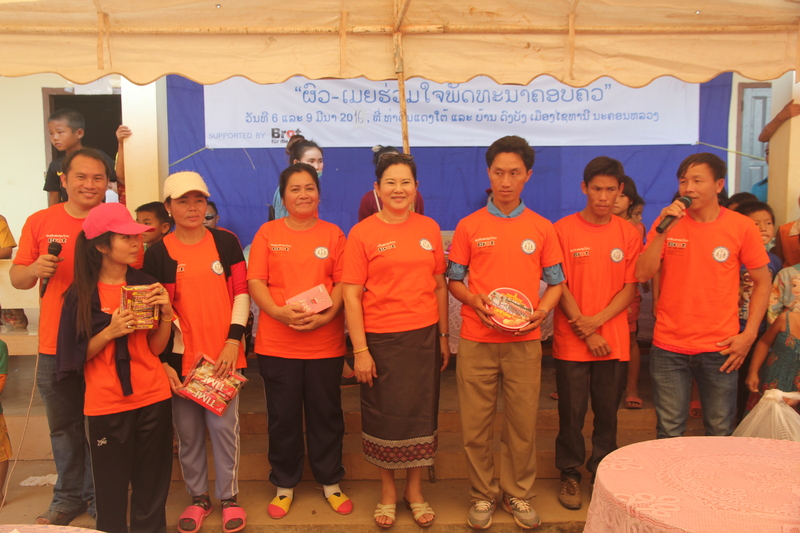 Following the activities, each family which participated was given a prize and different representatives of the family were called up to receive the prize. 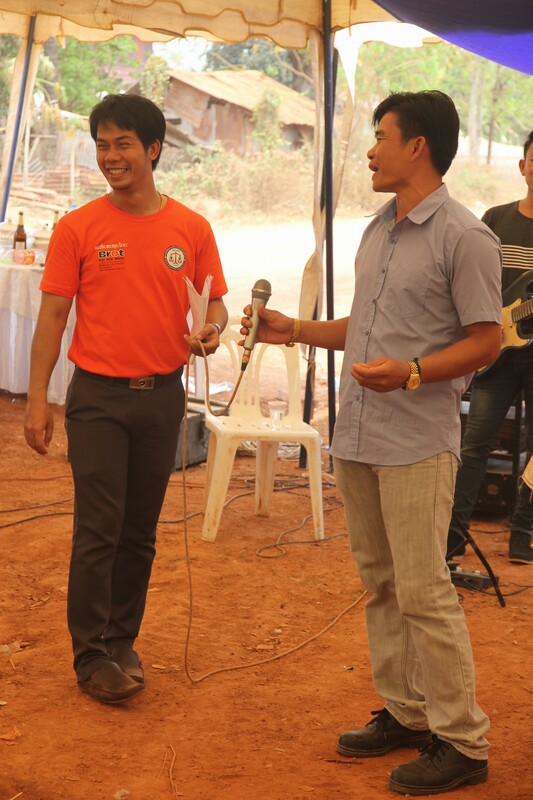 To mark the end of the celebrations, a Q&A session was carried out where ADWLE staff asked members of the public questions on women’s rights and national laws relating to women. 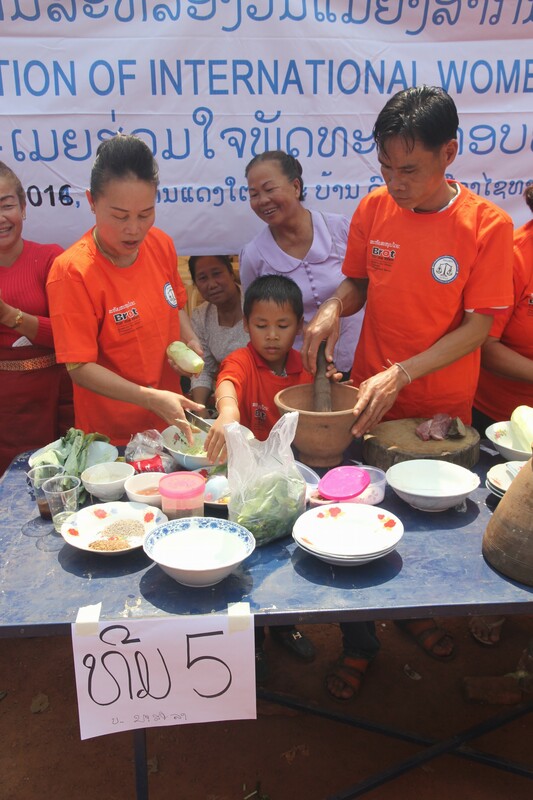 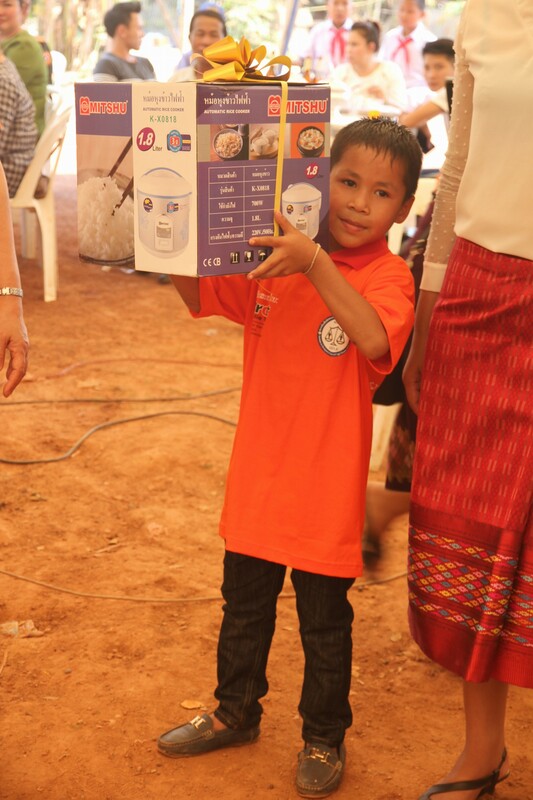 “This year, IWD was so fun; not only did husbands and wives participate, but their children were also involved and everyone was smiling and laughing,” said ADWLE Program Officer Malita Keopaseuth. 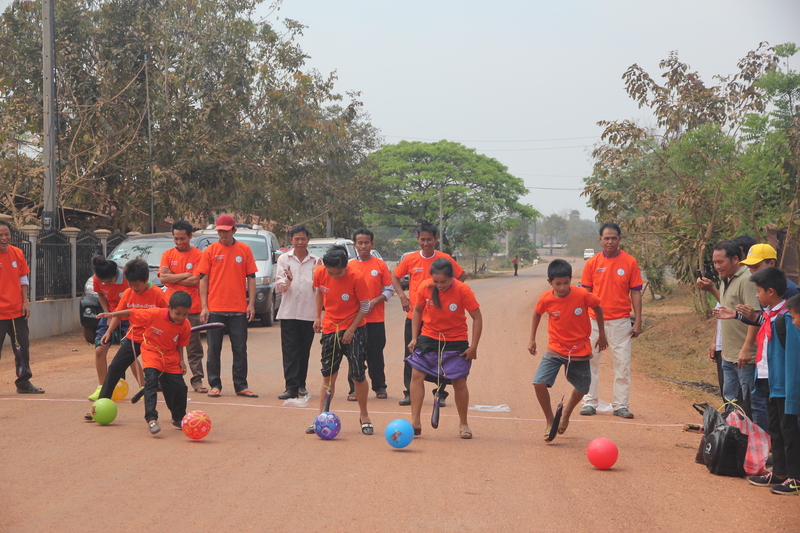 Celebrations were held on two separate days in the two areas where the communities are located. 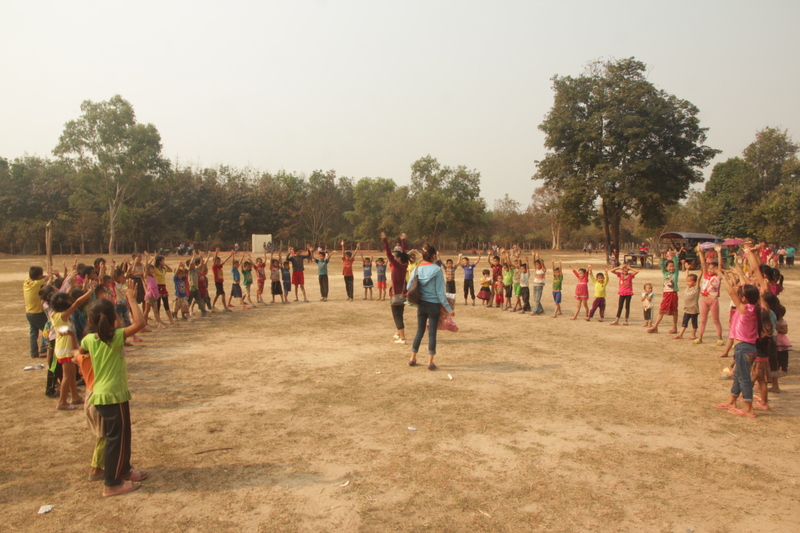 ADWLE chose to carry out projects in the villages due to their remoteness and ethnic diversity as well as reports of gender inequality, low levels of education, particularly among the female community members, and incidences of gender-based violence. 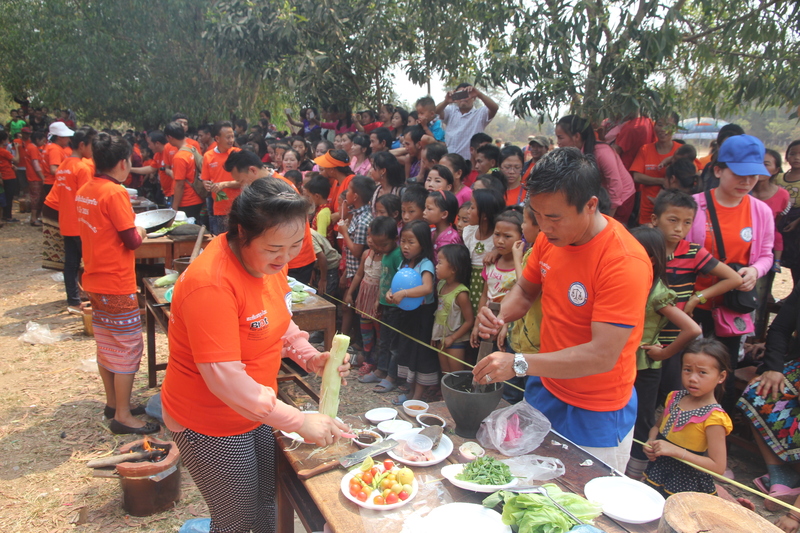 This was the first of a series of activities, funded by Bread for the World, that ADWLE will be running in the four villages over a two year period.